From infancy, we have a tendency to spend our lives looking for reward in one way or another even when we’re not aware of it. Because reward of some description is usually freely given to us by those we love. And it is fed to us daily in the form of social media affirmation, whereby we seek approval from others, as we want to be accepted and belong. If we add faith into the equation, we see how even there we can be tempted to chase down reward, rather than making a secure relationship with God our top priority. His word is lavish with promises but it also has guidance for the way God wants us to live. Faith is often referred to as a walk, a way of life, a journey, and a wilderness kind of experience at times. Faith is also as an anchor for our souls and a guiding compass, as we steer a course through this world’s landscape. We need faith, trust, courage, wisdom, discernment and deliberation to avoid the many distractions and obstacles in our path and press on regardless. We require strong hearts, courageous spirits and stout shoes to stay on the rocky road-less-travelled, and maintain our hope and trust in God. Maybe we make it harder than it is. Maybe it’s more about yielding our souls to the Captain of our ship, than trying to keep going in our own strength. in complicated for far too long. my life, my faith, my song. Holy Spirit breath and compass within. known only to the soul. What if we could see ourselves as being enough and believe that God is more than enough for us? 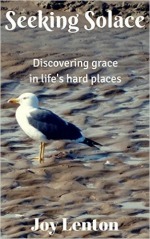 How might it look to view God as our great, unmerited reward as we walk through life by His grace? It’s a challenge to our preoccupied, insecure or self-absorbed souls but it’s also a wild adventure to seek to trust as we journey with God.